As Iraq gears up for the general election on April 30, the country continues to reel from wounds unleashed by the 2003 U.S.-led invasion. 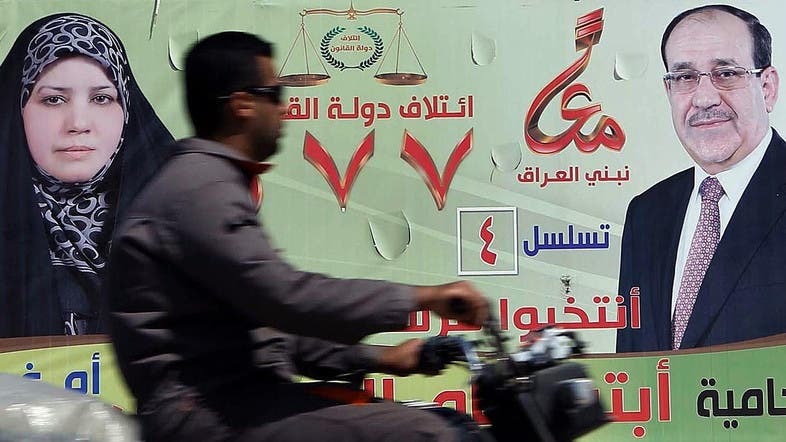 The parliamentary elections promise to be especially fraught with high drama as it is the first since the withdrawal of U.S. military forces in 2011. Therefore, this election will be a litmus test to see if Iraq will remain mired in the ancient antagonisms of the past or if it will progress to a brighter future. As it stands, the picture in Iraq is dismal; it is one of lost opportunities, intractable oil disputes, sectarian divisiveness, corruption and a resurgent al-Qaeda. While the upcoming elections are about the general future of the country, energy, especially oil, will be the central focus. The most critical divide in the run-up to the elections is not sect, ethnicity, or even regional antagonisms. Rather the driving force is oil based revenue; who gets it and who gets to spend it. Much of the focus on Iraq tends to be exclusively concerned with the perceived rise in sectarianism. While this issue is quite important, it must be understood in context. To appreciate how sectarianism articulates itself, it must be placed in the context of to how oil can be used as a healing potion to sooth the lacerations festering over the past several decades. However, not all is grim in Iraq. In 1979, when Saddam Hussein was consolidating his hold on power, Iraq produced approximately 3.7 million barrels per day (m/bpd). Perhaps it is symbolic that about 35 years later, Iraq is now reaching and even exceeding these high production rates again. The most critical divide in the run-up to the elections is not sect, ethnicity, or even regional antagonisms. Rather the driving force is oil based revenue; who gets it and who gets to spend it. Despite the seemingly unending stories of violence, there are many positive indicators that signal a glimmer of hope for the future. The daily average exports of oil, the backbone of the economy, increased by 551,000 barrels per day (bpd) this past February. That is a 26 percent leap from the previous month as the oil sector was able to benefit from a massive infrastructure improvement policy, as well as debottlenecking work. Adding to the positive news in the Iraqi energy sector was the announcement that Russia’s Lukoil recently bought Iraq’s second largest oil field, West Qurna 2 in late March. This giant field will immediately add about 120,000 bpd of crude oil into the global market. The expectation is that the field will eventually pump more than 1.2 mbpd. This development leads Iraq much closer to the goal of producing 4 mbpd by the end of this year and positioning the country firmly as the second largest oil producer in OPEC. These developments are a boon for the Iraqi economy as oil makes up 90% of Iraq’s GDP and 80% of its hard currency reserves. But, for all of this good news, there are also some storm clouds on the horizon that will affect domestic oil production. These issues revolve around two main questions that concern how the central government manages its relations with minority groups: the Kurds and the Sunnis, both of which feel neglected by Baghdad. These two groups are seeking increased autonomy, backed by local control over oil production, to assert their communal rights. The Kurdish Regional Government (KRG) has been testing the limits of autonomy from Baghdad for a decade. Complicating this extremely acrimonious relationship even more has been the dispute over shares of the federal budget and whether the KRG has the right to export oil under its own auspices. Typically, the central government is supposed to allocate the KRG 17 percent of the national budget after state expenses. Yet recently, in a bid to punish the independently minded region, Baghdad indicated that it would withhold all funding until the KRG accepts to export oil only under the mandate of the federal government. By reducing money transfers to a region where nearly a quarter of the populace are on the government payroll, Baghdad has wielded a heavy stick to enforce compliance. Since 2003, the Kurds have attempted to develop “facts of the ground” by signing contracts with international oil companies to produce the resource in their jurisdiction. Furthermore, a pipeline has been constructed to export oil to Turkey. While Iraq is poised to continue to have a bumpy road ahead, this ancient country will undoubtedly carry on as it has since Babylonian times. However, despite attempting to build political and business ties with Erbil, Ankara indicated that before it imports any oil, it desires Baghdad’s seal of approval. As of yet, there is no end in sight as both stakeholders are locked in disagreement. The battle has now reached the Iraqi parliament whereby a narrow quorum --even though Kurdish lawmakers launched a boycott-- was reached for the initial reading of the 2014 draft budget. If this budget eventually passes, it will create a retributive framework by making the 17 percent allocation of the budget contingent upon the KRG exporting its oil through the State Oil Marketing Organization (SOMO). If the full amount of KRG oil is not accounted for, then any shortfall would be deducted from the KRG’s share of the budget. 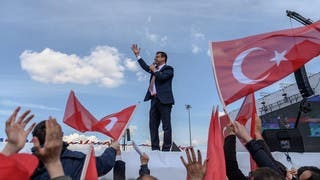 However, the upcoming parliamentary elections may cut both ways, serving to make each side more antagonistic as they struggle for the upper hand. If that is the case, both sides would fight very to hard follow through with the promises they made to their constituencies on such a charged issue as control of oil proceeds. 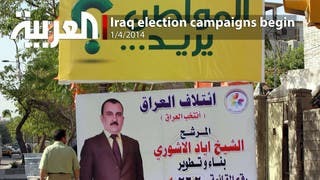 Nonetheless, the elections could also cause Iraqi Prime Minister Maliki to be more conciliatory. While the federal government may be in a position of strength in regards to flush coffers from surging oil production, Maliki is not as strong as his own constituency is fragmented and the minority Sunnis are hostile to him and his party. In hoping to secure a third term, he may need Kurdish help is forming a new government. In the 2010 elections, Maliki’s Shiite dominated parliamentary alliance lost a majority bid and it was only by cooperating with the Kurds --along with substantial Iranian help to gain the support of the Sadrists -- that his State of Law coalition was able to return to power. What is likely to occur is that some backroom deal will be made prior to the election or thereafter in which the KRG will be allowed to have a greater say in its oil exports with cooperation with the federal government on revenue sharing. While collaboration is key for both stakeholders, there is the abiding fear on the minds of those in Baghdad that if the KRG became economically self-sufficient, political independence would not be far behind. That means that there is always an ulterior motive lurking about to ensure that the KRG remains financially dependent and in the good graces of Baghdad. In part due to the torrential socio-political forces unbridled by the Arab Spring and long standing Sunni economic and political grievances, many Sunnis have turned to various insurgent groups as a means to protect their interests. Even though Iraqis on the whole are exhausted from the continuous bloodshed that bombards them on a daily basis, Sunni Islamist militants are regaining ground lost during the 2007-2008 troop surge by U.S. and Iraqi forces to expel insurgents from key Iraqi cities. Since the beginning of the year, insurgents have taken over several key towns. In fact, just in the month leading up to elections, groups such as the Islamic State of Iraq and Sham (ISIS) demonstrated the limits of Baghdad’s authority by holding heavily armed and quite brazen parades in Fallujah and Abu Ghraib. There appeared to be no public response from the security forces. While the crackdown on public protests by Sunnis from the security forces and the high profile arrests of several ranking Sunni political and religious figures who opposed Maliki have exacerbated the group's sense of disenfranchisement, oil again characterizes much of this discontent. While huge petroleum deposits were known to be located in the Kurdish north and Shiite south, there has been little exploration and development. Increasing development in Sunni lands could help mitigate much of the Sunni anger about their diminished role in the new Iraq. Key to that is an equitable division of oil wealth and production throughout the country. After all, even though simplistic, it is difficult to be enraged enough to join an insurgency when a person feels that he has a viable stake in his country, his children are in well-functioning schools with good future prospects and he has a well-paying job. While Iraq is poised to continue to have a bumpy road ahead, this ancient country will undoubtedly carry on as it has since Babylonian times. The current disturbances are just a blip in its thousand year history. But, for Iraq to industrialize and form a unified country, fair and equitable distribution of energy proceeds is essential to stabilization. The upcoming elections are about more than just choosing the country’s leaders. Indeed, these elections will illustrate whether the country’s leadership is serious about true reconciliation and reform, or whether it will just be politics as usual. One thing is for certain, without reform in the country’s oil sector, Iraq will continue to remain a splintered country, beset on all sides by resentment and proxy battles over revenue sharing. Justin Dargin is a leading Middle East energy expert specializing in the Gulf energy sector, emergent carbon markets and regional industrialization. He was a former Research Fellow with The Dubai Initiative/Harvard University, where he won a Harvard award for his research with the region, and he is a Fulbright Scholar of the Middle East. He is a specialist in international law and energy law with a focus in carbon trading, the global oil and gas market, the legal framework surrounding the Gulf energy sector, and Middle Eastern geopolitics. Could Iraq’s ‘greatest political survivor’ make a comeback?